Beatriz Garcia holds a degree in Law and a Ph.D. in International Law from the Graduate Institute of International and Development Studies in Geneva, Switzerland. She worked in the Climate Change and Sustainable Development branch of the United Nations Conference on Trade and Development (UNCTAD), in Geneva, Switzerland, managing climate and biodiversity projects. 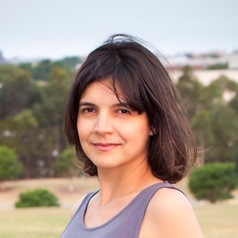 Beatriz was a research fellow at the Australian Centre for Climate and Environmental Law at Sydney Law School. She held positions as an advisor at government agencies in Brazil and several other organizations, such as the German Technical Cooperation, the Earth Council Geneva, British Petroleum and various United Nations’ agencies. She was a project manager for Forests Alive Carbon & Climate Solutions, a Sydney-based company specializing in carbon markets. Beatriz is currently a lecturer at Western Sydney University School of Law. She regularly writes policy briefs for the United Nations for example, a UNDP report on REDD+ and local governance in Latin America and the Caribbean in 2012, and a paper on climate finance, which was discussed at the Climate Change Conference in Paris in 2015. She is the author of the book 'The Amazon from an International Law Perspective' published by Cambridge University Press in 2011, as well as journal articles, chapters in books and several technical reports.